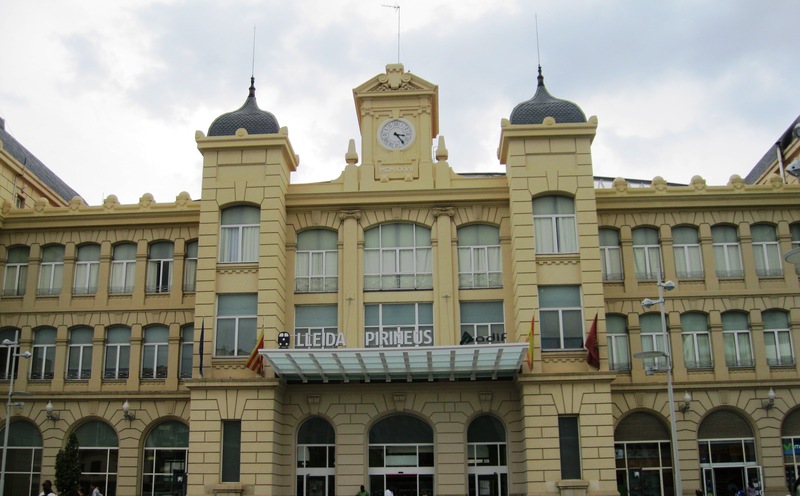 Today, I’m going to tell you a story set in a Catalonian province – Lleida. This story will take us three years back in time as we retrace my journey through this beautiful region in the summer of 2011. My joy knew no bounds the day I found out I was going to “Spain” for my summer internship. This would be my first solo-trip out of India. I did plenty of research on Lleida (pronounced ye-ee-da) and practised some basic Spanish which I thought would help me get by. But nothing prepared me for what I would experience here. And nobody told me this trip would transform me as a person. I had changed 6 modes of transport to reach my place of stay! I boarded my Swiss flight at 1AM from Mumbai and spent the entire night checking out their awesome inflight entertainment options. Needless to say, I was sleepy when my plane landed at Zurich. At the Zurich Kloten Airport (one of the prettiest I’ve ever seen), I took the inter-terminal train to reach the terminal for my connecting flight. Then, I boarded the early morning Swiss flight to Barcelona. This is where I first strained my ears to interpret the Spanish-English accent. “But airhostesses in all countries always speak in unintelligible accents”, I shrugged. After an hour of sleep on the plane, it was time for me to collect my things and catch the shuttle that would take us from the international terminal of the Barcelona–El Prat Airport to its domestic one. From there, we (“we” because 2 more interns joined me at Barca 🙂 ) took the metro to the Barcelona Sants train-station. 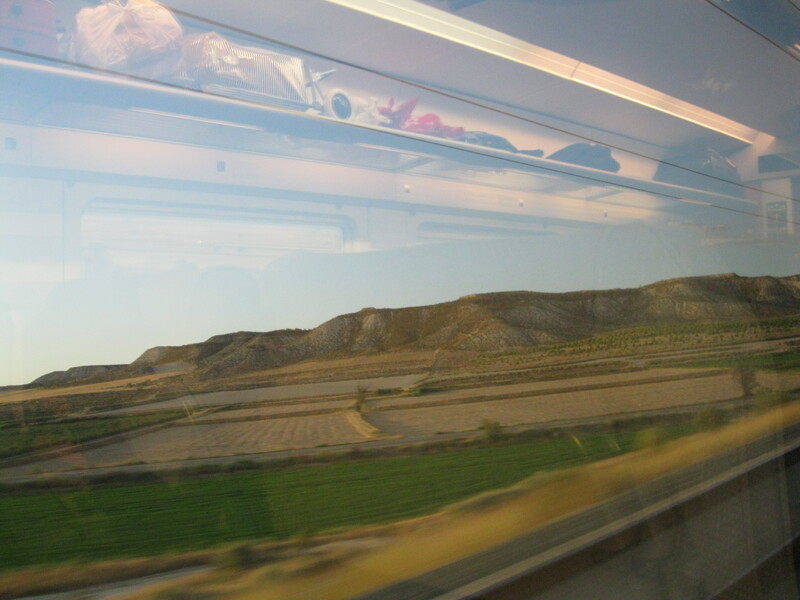 We next caught a train to Lleida. 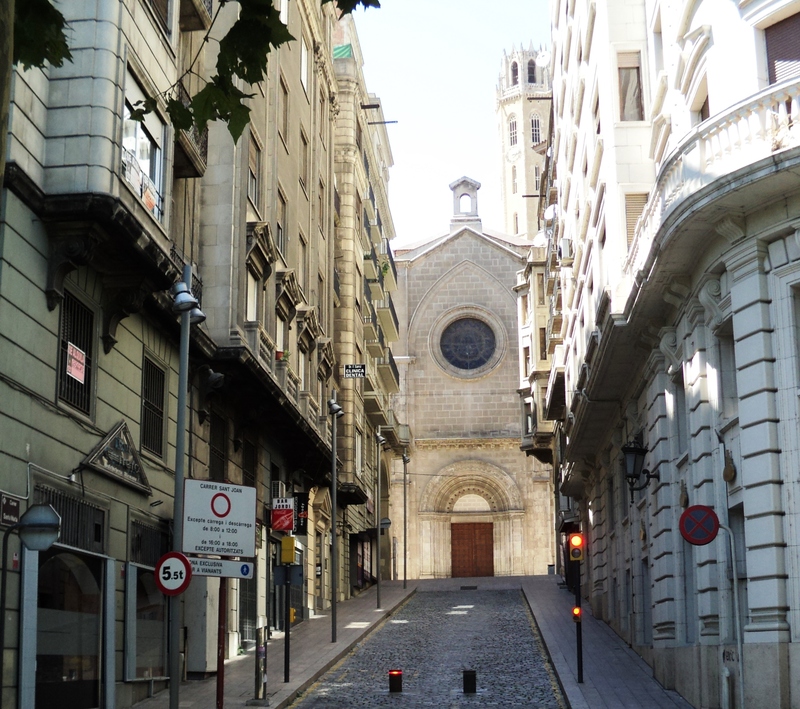 And the final journey from Lleida station to our apartment complex was in our host’s car. Phew! It was such a delight to meet Marc, one of our hosts, who drove us to our final destination. Before I could show off the little Spanish I had learnt, Marc proudly told us he wasn’t fond of Spain. And most Catalonians wouldn’t reply in Spanish if we asked them. He erased my shock and confusion by explaining to us how Catalunya (as the locals call it) is trying to secede from the rest of Spain. But we didn’t have to worry about knowing no Catalan as the University of Lleida provided us welcome packs which had a translation-guide! 🙂 In the anticipation of learning another foreign language and meeting more interns at my apartment, I forgot that I hadn’t slept for almost 20 hours. 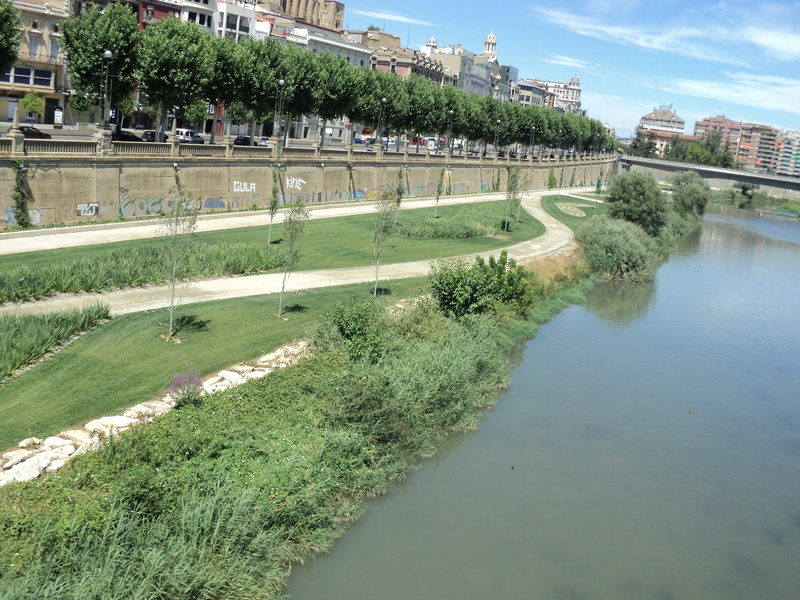 Summer in Lleida’s latitude means the sun won’t set until it’s past 9. My watch said it was time for dinner, but my eyes refused to believe. This is when all the first-day (night, maybe?) fun started! 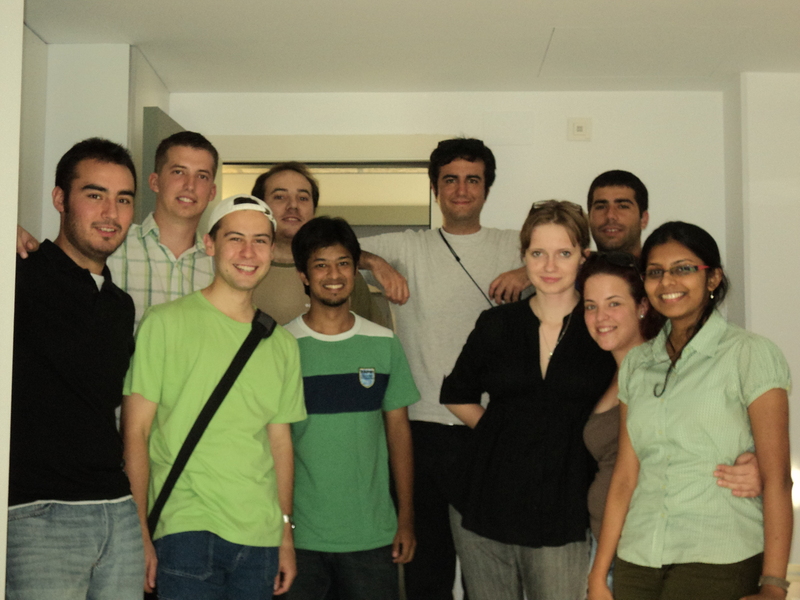 I met all the hosts, and fellow interns from Belgium, Latvia, Germany, Mongolia, Peru, Greece, Panama & Belarus. Our Catalonian hosts had prepared a sumptuous spread for all of us. I too brought out my theplas (my mum fretted too much about food and whether I’d get anything to eat at all 😛 ) for everybody to try. Did you know?Theplas taste better with gazpacho! My last memory of staying awake that night ends in having some red wine and Picón cheese before I give in to jet lag and sleep-deprivation, and find myself sleeping like a log in my bedroom. Day-2 in this charming city was spent walking around the place, locating department stores & bus stops and figuring out how I’d get to office next morning. My new home seemed great but I was still a little apprehensive about work. 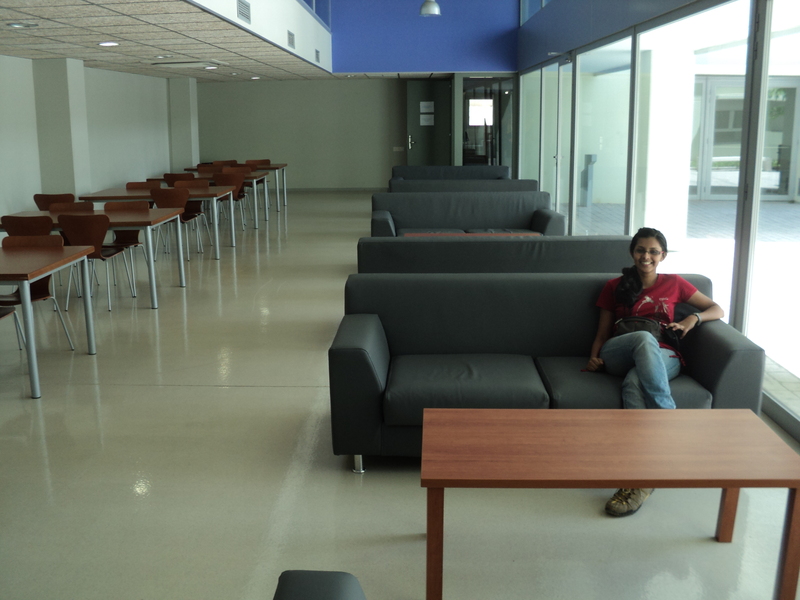 This would be my first office-experience outside of India, and I just hoped my colleagues were nice. Turns out, they’re the coolest co-workers in all of Lleida! 🙂 I went in thinking I’d have to do a lot of catching up on Catalan & Spanish, but they took one step forward by brushing up their English so they could talk to me! 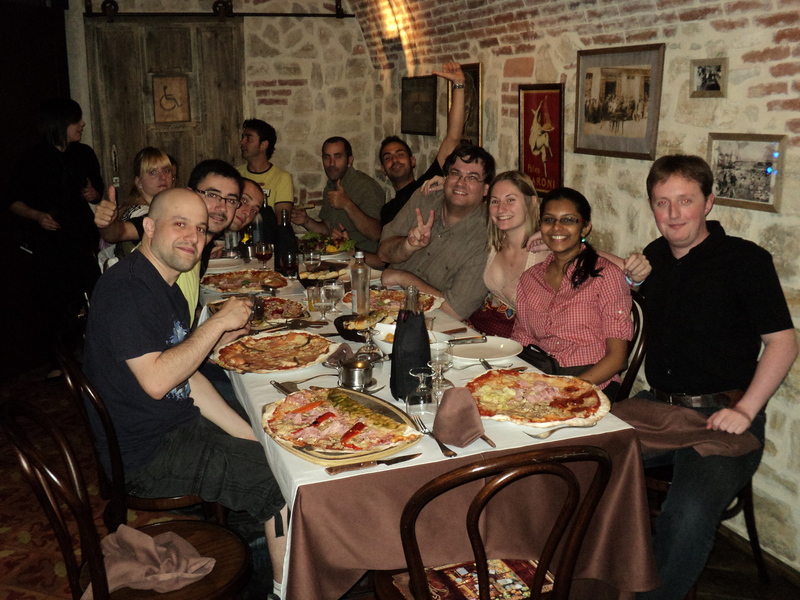 These are the people I lunched with everyday as we exchanged stories from India & Spain. I could go on and on about how warm and friendly everyone in Lleida is. But now that I’ve introduced you to Catalunya, I’ll keep it mostly travel-centred from my next post. In the pic above, you will see where I sat and planned all my weekend trips in this country that many of us have only dreamt of. This entry was tagged Catalonia, Catalunya, Europe, Gazpacho, Interning in Lleida, Lerida, Lleida, Mediterranean cuisine, Picon cheese, Pirineus, Pyrenees, Solo Travel in Spain, Spanish cheese, Spanish cuisine, Spanish food. Bookmark the permalink. Travelling is very amazing feeling, it can’t able to explain, But your explanation very good.